Dig deeper into the work of the Forum and access our briefing papers and resources. We have produced annual summaries of National Forum for Public Engagement with STEM meetings and activities, these can be downloaded below. Key activity included establishing the Forum, signing of the terms of reference and membership, and appointing the secretariat. Download the 2014 summary here. Key activity, included development of an action and communications plan, initiating working groups to explore engagement with underserved audiences, evaluation, genomics/gene editing and machine learning. Download the 2015 summary here. Key activity included hosting the first stakeholder networking event, establishing an investigation into professionalisation of public engagement and responding to the House of Commons Science Communication Enquiry. Download the 2016 summary here. Key activity included ongoing work via the working groups and pilot studies, and a re-development of the Forum’ way of working and website. Download the 2017 summary here. On 17 March 2016 we held our first networking event at the Royal Society of Chemistry. The event was attended by over 43 organisations involved in the public engagement. We covered a wide range of topics from evaluation, engaging underserved audiences, and exploring ways to ensure better coordination and collaboration across six areas of emerging science and technology. The event report provides a full summary of discussions and resources used during the event, the event update looks at activities and actions that were taken up as a result. This paper summarises the findings of a review of funding for PE STEM activities, to which a number of Forum members submitted data. The review was not intended to be an exact mapping of the funding landscape, but to take a high level view of the key trends in how funding is currently targeted. The work was conducted in two phases. A first phase reviewed 39 small grant schemes. A second, project looked holistically at how Forum members were investing in a wider programme of activities. In October 2014 the National Forum began to discuss how best to review the funding environment for Public Engagement with STEM. These discussions surfaced a need to investigate the ways in which funding aligns with key priorities across the sector (e.g. engaging under-served audiences). As a first step, the secretariat was invited to undertake a review of scheme funding. We looked in detail at 39 schemes these were either live schemes or schemes that we knew would be recurring in 2015. Written evidence submitted by the secretariat on behalf of the National Forum to the House of Commons Science and Technology Committee Inquiry into how government, scientists, the media and others encourage and facilitate public awareness of – and engagement in – science. This paper was developed to provide a scaffold for initial discussions about the different ideas and assumptions that underpin our work with underserved audiences. It looks at how the ‘problem’ of opening up science to different audiences is differently framed, and the kinds of responses that typically are made to seek to address the challenge of ‘opening up’ science to the public. This paper was compiled to assist members of the National Forum in developing a common framework that captured the activities and initiatives that can be linked to opening-up STEM so that people from all different backgrounds can engage with science. It was developed through conducting a rapid-review of the information available on member’s websites including corporate strategies, action plans and public engagement strategies. It also builds on an earlier mapping exercise to create the ‘five approaches to opening up science paper’, produced in 2016. This paper has its origins in the Forum networking meeting in March 2016 and parallel, informal discussions with Simon Chaplin, Wellcome. The report explores the concept of professionalisation for the Public Engagement with STEM/Science Communication sector and was informed by a combination of online forums, responsive conversations and invited conversations. 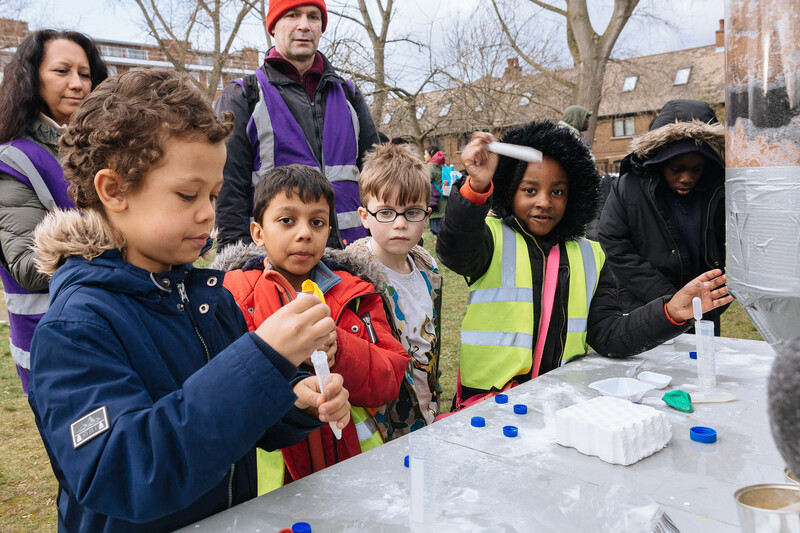 The findings highlight that there are a diverse range of professions working in public engagement with STEM, across multiple established sectors. We do not have an appropiate measure of the number of people, or a complete picture of the range of organisations involved, and the drivers for their work. The report suggests thats this may in turn be having adverse effects on the quality of public engagement taking place, and the capacity to develop people as professionals in STEM engagement. Developing a common framework to capture the activities that can be linked to opening-up STEM so that people from all different backgrounds can engage with science. October 2018. Briefing paper from the National Forum for Public Engagement with STEM. Written evidence submitted to the House of Commons Science and Technology Committee by the National Forum for Public Engagement in STEM. The findings of a review of funding for public engagement STEM activities, to which a number of National Forum members submitted data. Summary of scheme funding for public engagement in STEM. National Forum for Public Engagement in STEM meeting summaries from 2017. National Forum for Public Engagement in STEM meeting summaries from 2016.